What an interesting pre season build up we have into 2012, almost unlike any other! The premiership title winners lose their coach within days of their success, their grand final opponents also chose to make a change and we see the 2010 Dally M winner sacked! Wayne Bennett has moved to the Newcastle Knights and in total almost half the 16 clubs start the season with a new head Coach (Eagles; Dragons; Warriors; Knights, Bulldogs; Rabbits and Panthers). Let’s cast an eye and opinion over each club as we preview the new season. A very interesting year ahead for the Bronc’s post Lockyer. Griffin did a very good job in his first year, most notably improving their defence quite dramatically (dropping them from conceding 23 a game to 15), but 2012 will certainly test him as life without a superstar playmaker will be very different for them all (they’ve only won 28% of their games without him in the past!). Does the Knights post Johns, Roosters post Fittler and so on ring a bell? Clearly they have done very well through recent years to bloody their next generation, with significant positive results and have rightly backed that squad into this year while letting Petro return for a benefit season. I think they still have a question if not weakness at 9 and they now need a suitable replacement at 6, they’ll need quality outcomes in these two key roles to be a major contender. I also have a question over their attack, for much of 2011 they were somewhat one dimensional and that was with Lockyer who either called or played near every play. I’m certainly not convinced that the changes into 2012 will be as easy as most think. Certainly the Broncos will be competitive, but for mine I expect them to be a level or two under their 2011 effort. 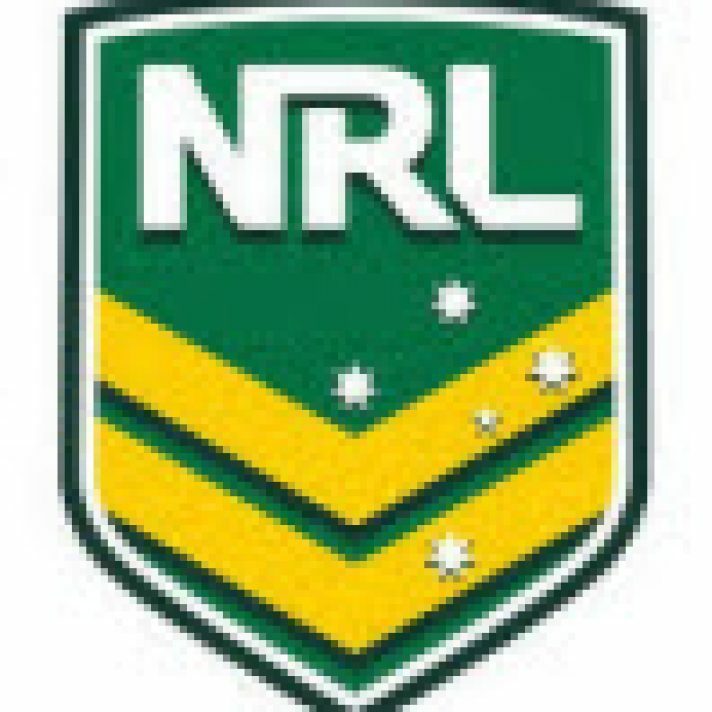 The NRL is a long tough competitive season, as it wears on I’ve no doubt they’ll be many moments if not results where the missing Lockyer gold polish would have been the difference. It’s just not something that you replace that easily. Bottom half of the top 8. Play: Although competitive are not a top 4 play for mine. Well, well, well, look what the offseason dragged in! An outstanding coup with the signing of Hasler, and then his influence to bring with him his entourage of high quality support staff. Hasler has matured into an outstanding coach imo, his rebuilding of the Eagles so quickly back into a premiership winning club, and then the quality of their year in 2011 certainly testament to this (the rank stupidity in how in the hell he was ever allowed to leave we’ll deal with later). If I was a betting man I have no doubt that he will deliver a premiership to the Bulldogs at some stage in his tenure. So what of 2012? They’ve been an underachieving list for the last 2 years (9th and 13th), even though backed by a preparedness to spend and purchase, that poor performance is an attitude issue and I’m sure Hasler will have shaken this right up in preparation for the new season. James Graham is a quality acquisition but the new coach will be working with a list not of his making so it might well take a year to massage it into the shape that he wants. 6 is certainly an issue and they need a much better offering from Hodginson at 7, they have a class 9 who I think with the new influences leading him forward plus the captaincy will only blossom. If Hasler can bring the best out of Pritchard and Eastwood, and consistently, then they will be well on their way. The crystal ball question is how quickly the improvement comes. For mine they’ll be on the up curve this year, they’ll be very competitive most weeks and sit somewhere on the bottom half of the 8 for much of the season. I think they’ll also continue to stir things up of the field making a number of key signings as the year unfolds toward 2013 and beyond. If you are a Doggies supporter I’d strap yourself in for the ride, ensure you have a membership and look forward to the fun years ahead. Play: On the improve but no betting options of appeal. The Raiders are an enigma. They pulled everyone’s pants down in 2011, including their own, after promising so much with the quality of their late run home in 2010. Yet they were then error ridden with the ball most weeks through 2011, most times pathetic in defence leaking an average of 26 points each week (30 points or more on 7 occasions), terrible stuff. They won only 6 games, with only 4 at home a venue which in the past had been a significant advantage. I just can’t see where the improvement is coming from. Aside from their positive run home in 2010 their offering through the last 3 years has been consistently poor (winning just 20 of 63). They’ve the same coach, same list, as a Raiders supporter one would hope they don’t continue with the same problems. One would also hope that they’ve had a very positive offseason, done some significant work on their attitude and technically on their defence. Time will tell. A fit and in form Campese will certainly improve them, and at their attacking best the Raiders are a pleasure to watch, but it’s their attitude and defence that they need to have really done some work on and be getting right to make any sort of improvement into 2012. For mine I can’t see it, I have them pegged as a bottom 8 side, probably somewhere around 12th spot. Middle of the bottom 8. Play: No Interest, leave well alone. I’m a rap for the coach, under difficult circumstances he’s done an excellent job to date and he was handed a lemon that was all but squeezed dry! He made major changes (positive) to their attack patterns in 2011 and it was obvious that week in week out they came with a different plan for each opponent. They were a touch unlucky early in the yr with a number of near misses (Eagles, Knights) but their reliance on Gallen and thin depth again wore them down as the season unfolded. Douglas and Snowden are key losses, and while they have been active in signing a number of players and rotating their list other than Carney their arrivals still look somewhat thin on real class and quality. Carney is the key to where they head in 2012; there’s no doubting his ability, let’s hope for all concerned that his mindset is similar to his start up at the Roosters when performance was very important to him. Given that he is running short on ‘next’ options I’m happy to be backing him in, and certainly everything I hear suggests that his training and approach to date has been first class. I have them pegged as competitive, and on the up but a touch of luck will be the difference between mid table or bottom 4. Flanagan employs a good work ethic, they turn up more often than not, but they need Carney right and a few more around he and Gallen to step up consistently for their table climb to happen. Improvers, somewhere around 8th to 10th. Play: No Interest, there’s no market to suit them. Interestingly enough these were my pre season thoughts on the Titans in early Feb 2011. I think there’s a fair chance the bubble might burst this yr for the Titans. They’ve stuck with the same list pretty much for 2 yrs now, yet in each of the last two semi final series they’ve been shown up as slow, tired and not in the same league as those that mattered for the business end of season stuff. They have also had imo a decent share of luck, forever winning most of the close games, or many with little margin. A few weeks into the season we backed them at $13 for the spoon, the rest as they say is history. So what’s changed? They are another with high list rotation, a couple of solid workers for their pack (Douglas, Myles), Idris has potential but he has a long way to go yet to be a star top grader; Champion is capable but not stand out class. Friend, Campbell and Laffranchi leave considerable holes, they still need to settle on a quality 6; still carry some aging players and they need to hope that the promise shown to date in the young 9 can blossom. Of even greater need is a return by Prince to his best, week in week out, he’s a class act and regularly relied upon to lift a rather average outfit. Maybe their list is a little stronger than last year, it would need to be, but it still looks well short on high class quality with their 7 their only star game breaker. They struggle on the road, their home track is not as tough a challenge as it once was for visitors, no thanks I’ll be happy to be laying them again this year. Bottom 6 contender. Play: No Interest, no value in the obvious nonperformance options (missing the 8 or Spoon). Dear oh dear, talk about being asleep at the wheel. You can dress it up whichever way you wish, but for a club to have managed the negotiations and contract extension with an already title winning coach and then likely contender (2012) as unprofessionally as the Eagles management did through the second half of last year is just disgraceful. Numerous Eagles supporters would probably (and rightly) add a few additional choice statements! I still shake my head to think that such an outstanding year could so quickly turn to you know what, within days of a premiership celebration. And now for 2012. With the off field backbone of the place ripped out (head coach, assistant coach, mind coach and conditioning coach, amongst others) the title holders have a rookie coach and new support team. Off field they obviously have a dysfunctional board and management team, including a rookie CEO. Thank goodness the players can play! Then to start their year they have a trip to England then their first 4 games away from Brookvale, they could well be in some trouble right from the outset. As Jack Gibson often said, winning starts in the front office, yet apart from that mess they’ve also had all of their highly successful coaching staff exit. I would be happy to bet London to a brick on that further troubles await them in 2012, be that board room, management, poor performance or retention issues (they have a long list of quality players off contract), and more than likely all four. For their players to be able to play, let alone carve any success out of all of this will be a miracle and only elevate them further as an outstanding outfit. But for the fact that they do have a quality playing group they might be able to hang on somewhere around the bottom few of the top 8, but 2012 aint going to look anything like 2011 and they’ll be plenty of value picking the right games to be laying them. No thanks. If it looks like a duck, walks like a duck, and quacks like a duck . . . . .
7th or 8th, just. A bigger slide would be no surprise. Play: No Interest, even the bookies have them short to miss the 8!! Obviously it’s been a few years of considerable change and rotation at the Storm, following on from their Salary Cap scandal issues in 2010. With all of that dislocation and rotation Bellamy did an outstanding job to again have them competing in 2011 as a top of the table contender. Yes they have the advantage of world class individuals in 3 critical positions (Smith, Cronk, Slater) but with all of their comings and goings Bellamy was able to a) reinvent a number of tried and tested players, and b) pull together a competitive team prepared to put in each and every week. And amongst this has been the emergence of a number of youngsters through their system like Widdop, Duffie, Nielsen, Proctor and Bromwich. Their short coming in 2011 was up front, and although not everyone was able to expose it most weeks of the season it came home to roost when it mattered at seasons end with defeats to the Eagles, Roosters and the Warriors led through their middle. Blair is a significant loss, but they’ve added Ryles and Greenfield, quality big forwards who I’m sure will be another two to blossom under Bellamy and the system that he has in place, just like many before them. Hoffman and Chambers are two further positive acquisitions to the list, making them for mine a stronger offering than last yr. The Storm finished minor premiers in 2011 and I see nothing short of a similar result again in 2012. They win 80% of their home games, win more than most on the ‘road’ each season (65% to 75%), and year in year out Bellamy consistently coaches one of the best defence offerings in the competition (look at their defence averages year on year). A quality list and coach delivering these sorts of results book you a top 4 spot more often than not and then offer you the opportunity to give September a real shake and I’m sure this will be the case again in 2012. I think the icing on the cake for the Storm this year will be a real hunger for an official title. There would be real disappointment and hurt with how they fell out at seasons end last year, on top of the dramas of the year prior and their stripped titles. The premiership window only stays open for so long, I expect them to be better than last and very driven toward the end goal. Top 2, team to beat in 2012. Play: Anchor bet for any longer term plays. Play them for the Premiership title, Minor Premiership and Top 4. What an exciting time for the Newcastle area and all Knights followers. First the arrival of Nathan Tinkler and his wealth, then the signing of Wayne Bennett, the beefing up of their development and coaching programs and the renovation and upgrade of their home ground. Look out folks, the new power house of the NRL has awoken! And expect the improvement immediately into 2012! Bennett got to work pretty quickly during the second half of last year fine tuning the existing list and then buying key class and depth to begin rebuilding his top 25. With 8 top grade signings, in particular Buderus, Snowden, Boyd and Cuthbertson coupled with what was already a healthy squad the foundations are now in place for Bennett to build, and that he will. The Knights will be big improvers this year and I’m sure play finals footy from a top 6 or better position. Rick Stone had already done an excellent job moving them forward into last year (8th) and will play a key right hand role in assisting Bennett, a rare but very positive initiative. Their key signings has only strengthen them further and with Bennett’s polish and their healthy home ground advantage (likely to be full on each occasion) and significant community following success awaits. And success will arrive! Top 6, top 4 highly likely. Play: Happy to play the long term Top 4 option, they are a real player in 2012 and should go close to doing so from a position at the pointy end of the table. The Cowboys were one of the big improvers in 2011, jumping from 15th to 7th (and a touch unlucky not to have secured a top 4 spot). After a major shake up of their list at the end of a very poor 2010 (rotating at least 16 of their top 25) and changes to their coaching, support and conditioning staff the then necessary improvement came. They started the year strongly and went on to win 9 of their first 12 games to sew up a finals spot while also reestablishing their home ground advantage winning 9 of 12 in Townsville. Their other area of significant improvement was in their defence, dropping a whopping 8 points a week off their prior year’s efforts. They’ve looked to strengthen their list a little, with Patterson (mid 2011), Lui and Linnet helpful additions, while they’ll certainly look forward to a full season’s contribution from Tate. Clearly they are very reliant on the direction and influence on Thurston, as one would with a world class playmaker, but they do play with a big physical pack featuring a class front rower (Matt Scott) and an emerging star in backrower Tariq Sims. I’d expect further improvement from the Cowboys off the back of their positive efforts last year, but this year may well prove to be a more competitive offering than 2011 and so make it somewhat tougher to be a finals contender. If they can maintain their home advantage and again win 9 or 10 of those 12 games they’ll be well on their way to a top 8 spot. Play: Nothing of interest, after playing finals last year they are well found in the current markets. Kearney has now had over a year to access what needs to be done and how to lead them forward. He has made some significant signings with Sandow, Roberts and the Tonga brothers headlining his list changes, with these 4 to obviously slot into the key attack roles at 7, 6 and center. Certainly on paper it is a far stronger list than they 12 months ago. Hopefully this will see a more positive approach to their attack, away from the near robot and highly structured pattern that they played through 2011 which yielded only 16 attack points a game, that won’t win you many (and it didn’t). Yes they had a high number of close defeats last year, but to be frank I think much of this was of their own doing. With Sandow, Roberts and Hayne there is now on paper additional attacking strike power. I think one of the key questions about them aiming up is their forward list. It’s workman like, can get the job done, but they certainly don’t dominate their opponents and on numerous occasions during 2011 they were the one being dominated. They need big seasons from Poore and Shackleton, hope that Hindmarsh and Smith still have something significant to offer and that a few of their youngsters might be able to take that next step. I still think they are one or two international quality forwards short on what’s required to be a top of the table contender. Also, off the back of a number of poor years their home and away records are terrible, in particular their offering at Parramatta Stadium where their win record has fallen from previously winning 7 of every 10 to more recently just 3. The Eels are tricky to access, they promise much and don’t deliver. They desperately need the new 7 and 6 combinations to work (but they’ll also provide some defensive challenges); they need everything to gel quickly with all of their key positional and pattern of play changes. Most importantly they’ll need their forwards to aim up and lead the way, about which I have considerable doubt. Off the field they need some professional leadership and stability. They should be improvers in 2012 but I want to see it week in week our for some time before I believe it. Maybe mid table. High risk, but maybe around 9th or 10th. Play: They’ve been a terrible betting proposition for a number of years, I wouldn’t touch them with a barge pole. Massive change at the Panthers in what looks likely to be a work in progress project across a couple of years. No stone has been left unturned with this overhaul, from front office direction (Gould) and administration through to coach, support staff and a considerable list shake up. I’m sure all of this is what was required given they’ve looked a sleeping giant with a massive junior base, but I’d suggest that there’s likely to be a period of pain before success. And what for 2012? A very tough year ahead I suspect. They were a bottom 4 side last year and have now lost Waterhouse, Petro and Bell from their forward list, on the back of losing Pritchard the year prior. While they have signed a list of replacements it would fair to say that many are journey men who have been team players as opposed to stars or game breakers to date. But my guess is that Gould and Cleary know that 2012 and 2013 need to be years of considerable list rotation and change while they try to access where they are, re gig their payment structure, purchase astutely and try to fast track their junior development. If they can compete let alone climb the table through this period then they will be doing very well but they might also struggle. I think the later in 2012. Bottom 4, looks a tough road ahead. Without luck they’ll give the Spoon a real shake. Play: Spoon would be the bet option, but they’ve been well found there at $7, but it’s not likely to get any better. The big change here is the coach, with the arrival of Michael Maguire. I’ll go out on a limb and suggest that he’ll prove to be one of the clubs best signings of the last 10 years and will be the key influence in them finally positioning themselves for semi final success. Maguire arrives with a quality grounding spending many years as the right hand assistant to Bellamy before achieving premiership success in his own right in England, turning around the fortunes of Wigan (premiership title in 2010). He’s technically very astute, organized and will bring a firm disciplined approach that is just what this list now requires. Most importantly I expect his greatest influence will be in improving their defence, leaking 23 a week does not cut it for any semi final aspirant and I’m sure this has been a major off season focus. The loss of Sandow is an issue, especially after a number of years of blooding and developing the kid but there certainly appears a quiet confidence that Reynolds has the ability and class to measure up, time will tell. They’ve a big pack, they’ll be very physical, and they’ll make a habit of hurting sides on either edge, and or slightly wider. 2011 saw a period of weeks where their list was riddled with injury but it did provide the opportunity to unearth a number of quality youngsters who certainly aimed up and gained some valuable experience which should only now strengthen their depth into this season’s campaign. I expect the Rabbits to be the other big improvers in 2012 (along with the Knights). When we look closely at their list through recent seasons they’ve been significant underachievers and should well have troubled the September series through each of the last 3 seasons. The arrival and influence of Maguire, addition of King, change of strength and conditioning program and the maturing with experience of a number on their list all points toward them now aiming up. Long suffering Rabbits fans have much to be excited about. Big improvers, certainly Top 8, the Top 4 would be no surprise. Play: The true believers should certainly be playing the $4 to make the top 4 option, I think they’ll give that a decent run! There are many issues and influences that force certain cycles of success (or non success) on any club and I have the Dragons pegged into 2012 as moving through a difficult period post the “Bennett cycle”. There is probably no more difficult assignment than to take over from Bennett, he’s clearly a master coach – the benchmark and leaves a significant void when moving on. New coach Steve Price has had a very good grounding to now make his own mark, but gee he looks on a hiding to nothing here. The list rotation and change since the heady days of their premiership title all but 1 season ago are massive; Costigan, Jeremy Smith, Saffy, Cuthbertson, Green, Gasnier, Boyd, Greenfield and the promising youngsters Bosden and McKinnon. That’s a lot of quality and depth with what appears on paper a very thin list of additions. They’ve still the nucleus of a competitive side but certainly with what looks less muscle and grunt up front, they’ll miss the strike power that Gasiner and Boyd offered their attack while with the high number of persons moving on one would now have to seriously question their depth. A positive for Price in 2012 will be that he should have a fresher group to work with, without the additional travel and rep commitments that burdened their campaign in 2011. They’ll have no pre season England tour and less rep and Origin disruption, whether they are then the same quality to compete at the same level as recent years is another question. A further positive is that they do hold a significant advantage when playing at either home ground and under Bennett they improved considerably on the road. Looks a tricky year ahead for the Dragons. With what looks thinner depth and quality they’ll need a good run of luck with injury. With a shorter list of quality players they’ll also need each of them aiming up nearly every week to be winning. Price also has the task of stepping into Bennett’s void and leading in his own right. Plenty of challenges for mine, they’ll be competitive but I think sliding a little and somewhere around mid table. Missing the 8 would not surprise. Mid table 7th to 10th. Play: Way too many questions to be resolved to consider any betting options. My how a year can be a long time in the NRL. The Roosters went from feather dusters and Spoon holders in 09 to Grand Finalists the following year under Brian Smith. As quickly as the positive turn had occurred it then fell apart in 2011 with a long disappointing season littered with numerous off field issues, a long injury toll, poor results, 11th position and the sacking of their Dally M player (Carney). That’s one hell of a cycle across just 3 seasons! Smith has quietly gone about a major list overhaul through the last two years and has chosen to enter 2012 with a very young and relatively inexperienced list with only 3 or 4 top grade players aged over 25. Quite a number of youngsters have been blooded into 1st grade through the last 18 months, and off the back of their U20’s successful run last year key individuals from that team plus a couple of new signings make up the balance of their top 25 squad. Jack Bosden is a positive addition, he looks a very talented backrower and has been groomed through the last few seasons at the Dragons ready to make his mark in the top grade. Their half and playmaker Pearce carried much of the responsibility for their offerings last season, they desperately need to resolve a successfully solution at 5/8 and have a few additional players step up to the mark as quality 1st graders for them to make a difference in 2012. Boyd Cordner and Martin Kennedy are two who were dogged with injury last year who have considerable talent and are ready to take that next step, while Jake Friend’s improvement last year’s points to him again being one of their best. Under Smith they have made their home ground a key advantage (and a positive out of 2011), winning 73% of their home games at the Stadium in both 2010 and 2011. There has to be considerable risk across a long competitive season going with such a young and inexperienced squad and for that reason I can’t have the Roosters pegged anywhere else but as a bottom 8 team looking to improve. If they can resolve their key playmaking role at 6 and a number of their talented youth can star quickly then they could be quick improvers, but the downside with such inexperience is that’s it’s a long, hard, competitive year that can quickly bring you undone – I think it will. It also wouldn’t surprise me to see them struggle and tread water in the bottom 4. Play: Way too much risk to entertain any longer term betting options with the Roosters. I really like the look of the Warriors and their chances in 2012. Beaten Grand Finalists they lose Cleary as coach but have gone with Brian McLennan who comes to the role with significant experience and success. He coached the Kiwi’s national side for a number of years with success, including their upset Tri Nations final 24-0 result over Australia in 05 before 4 successful years at Leeds (including 2 Super League premiership titles). I think he’ll be just the right person to continue on the positive development of their talented list as they look to win that elusive title, most notably I think he’ll sharpen their attack execution and really play to their key strengths. Off the back of a very good development program Cleary has done a very good job through recent years, blooding the right mix, purchasing astutely and building success. They’ve improved their ‘road’ record to a very respectable +50%, including regular wins at tough venues like Melbourne, fine tuned and tightened their defence each year and improved their attack. It’s no surprise that they finished top 6 last year, and where then able to ride that run as they did (although marred with the touch up from the Broncos in wk 1) as they have a well balanced list; a big physical pack, a smart ball player in Maeto and then the exceptional skill and talent of Johnson and Locke. Nathan Friend is a further positive signing and he’ll fit in very well and add some quality direction and work rate at 9. The finals series experience of last year should prove a real benefit to this list into the new season. They also have a number of key stars on the up, plus an array of talent and depth coming through out of their successful U20’s who have won their title two years running (plus their reserve grade made the grand final). This must set them up for a very successful period where a premiership title should not be beyond them. Top 4 contenders who should give September a real shake again this year. Play: $3.10 looks a nice long term interest for the Top 4. How close can one get to the big dance, yet not arrive? Just ask the Tigers after two close misses in back to back years, missing their Grand Final opportunity by 1 point in 2010 (Dragons 13-12) and then 2 points in 2011 (Warriors 22-20). So after two consecutive Top 4 finishes (and disappointment) the Tigers now have to reload and go again. Coach Sheens has made some tough decisions in rotating his list; he continues to make way for the young talent coming through their program while adding some quality buys (most notably Blair) to strengthen their depth. The retention of Moltzen after looking like heading to the Dragons is a nice plus; Blair is key as an international front rower he will add some real physical presence and power to their offering. There are many reasons why the Tigers are rated as real contenders. They’ve a list littered with some 11 internationals, class in so many key positions (most notably 9 and 6), have a high quality title winning coach and importantly have a preparedness to play an attack focus that can beat if not crush their opponents while Leichhardt and Campbelltown add to their cause as home grounds providing considerable advantage. The disappointment and hurt of being so close through the last two years should well drive them a little harder toward the holy grail in 2012. Lot to like about the Tigers. Top 4 again for me, and all the potential to give that big dance a real shake this year. Play: Certainly look a major player in 2012 but they are well found in all markets and there’s no value playing the odds on offer. I rate the Storm as the team to beat into 2012, with the Warriors and Tigers as the other two likely top of table contenders. I’m confident that we’ll see these 3 sides set the pace for most of the year and create the form line that matters for the competition. Knights will be big improvers, certainly top 8 and with luck might well push the top 4. I expect the Rabbits to be the other big improvers, another I think will play finals this year, and another who would not surprise to do so from up toward the top 4. Looking for luck! Broncos, Cowboys, Dragons, Eagles, Bulldogs Sharks and Eels are the teams who all look likely to be competitive and with luck should well be fighting out the remaining spots into the top 8. I certainly have major questions over the Dragons (list quality and depth); Eagles (rookie coach, new staff, off field management issues) and Eels (have huge improvement to make from 14th spot). And so that leaves the Raiders, Titans, Roosters and Panthers. Each of them finished in the bottom 6 last year (Raiders 15th, Titans 16th, Roosters 11th and Panthers 12th) and although there can be some argument for any one of them that they might improve I’m happy to retain a knock for each side. I’m sure the Spoon winner (16th spot) is amongst them, if I had to have a stab right now I’d nominate either the Panthers and Roosters as the two most likely. Update 10th Feb. I have decided to spec the Titans again for the Most Losses / Wooden Spoon bet option. They were terrible last yr, I’m not convinced that they have bought well nor that their problems of last yr will have turned around and certainly any of the noises that I hear suggest the same. With a draw that includes the Cowboys (A), Storm and Warriors (A) in their first 3 weeks I think the current $7 on offer might well be the top of the market. The Storm are my anchor bet for any pre season long term interests. If they open their season in the form I expect and don’t lose a key player with major injury it’s hard to see them being priced any better during the season than what is now on offer. I’ll play the two title offers now available being Premiership ($9) and Minor Premiership ($7) and anchor most of our outlay on a return from them making the Top 4 ($2.40). The other two sides who look some value to make the Top 4 are the Warriors ($3.10) and the Knights ($2.75). In fact I think the current price on offer for the Warriors is way overs and will shorten quickly as the opening weeks unfold. If you just wanted two bets to anchor and follow year long I’d be backing the Storm and Warriors for the Top 4. I have now spec’d the Titans for the Most Losses / Wooden Spoon bet option. They were terrible last yr, I’m not convinced that they have bought as well as everyone thinks nor that their attitude problems of last yr will have turned around and certainly everything I happen to hear suggests that it hasn’t. With a draw that includes the Cowboys (A), Storm and Warriors (A) in their first 4 weeks I think the current $7 on offer might well be the top of the market. O)ur first weekly preview for 2012 will be published on the Thurday morning prior to the opening round (Thursday March 1st). Published on October 21, 2010 in NRL, Uncategorized.